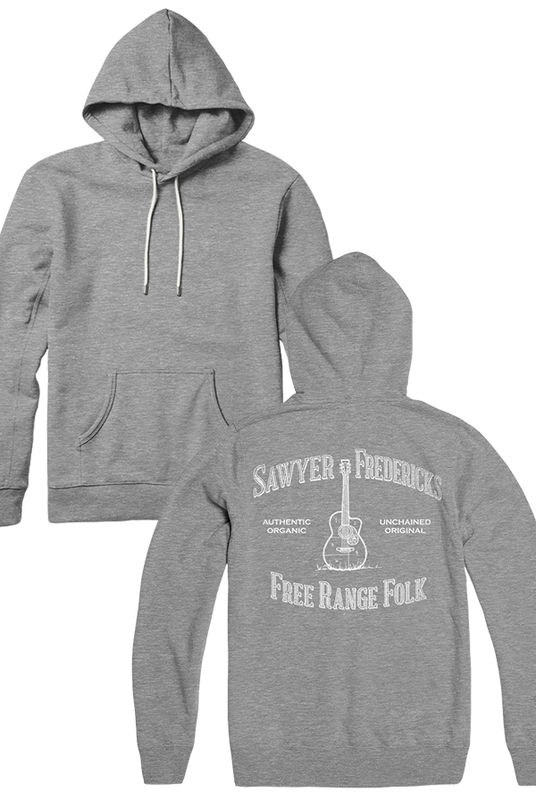 Sawyer's own Free Range Folk Design on Royal Apparel's TriBlend Fleece Pullover Hoodie. This Unisex Hoodie is made from a TriBlend of Polyester/Cotton/Rayon, with a front Kangaroo pocket. The Hoodie comes in Vintage Grey, a heathered blend of grey to white tones. The Hoodie features Sawyer's Free Range Folk Design silkscreen printed in white on the back of the Hoodie. Sawyer's Free Range Folk Design has Sawyer's name arched along the upper back. The design not only represents Sawyer's passion for music but also pays homage to his family farm, a guitar centered on the back has been section off like a chart that identifies cuts of meat. Along side the guitar Sawyer has selected the words; Authentic, Original, Organic and Unchained to describe himself. Curved on the lower back is the phrase Free Range Folk. Sawyer's Free Range Folk Fleece Hoodie is soft and extremely comfortable. 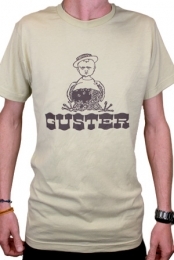 Sawyer's Free Range Folk Design was created collaboratively by Sawyer and his Mom Kirsten, who crafted the Design.